I got connect with The LP as a Center for Neighborhood Leadership (CNL) apprentice. I’m excited to be working with an organization that not only deals with combating a multitude of issues that exist within marginalized communities, but does it in a way that empowers, uplifts, and supports artists and organizers within The Bronx. An artist that has inspired me is Jacob Lawrence. He was an African-American painter known for his portrayal of African-American life. The aspect of his work that really impacted me was his dedication to emphasizing and encapsulating the lived experiences of African Americans in periods of time when we faced many racist institutions and systems; and did it in a way that gave our existence meaning and essence. For me personally art matters because, art is one of the most effective ways to communicate culturally, communally, creatively and linguistically. Art is such a hub for community building, communication, expression, and so much more. Its impact as visual rhetoric is so immense that not many other forms of communication match its significance to humanity. Without art so many stories wouldn’t have been told, cultures wouldn’t have been passed on, and people wouldn’t have been impacted and influenced. It’s so powerful and complex and yet can also be so simple and spontaneous. Tendaji Ya’Ukuu joins The LP as Kelly Street Fellow through the Center for Neighborhood Leadership (CNL) apprentice and focuses on supporting community-led decision making and activism. 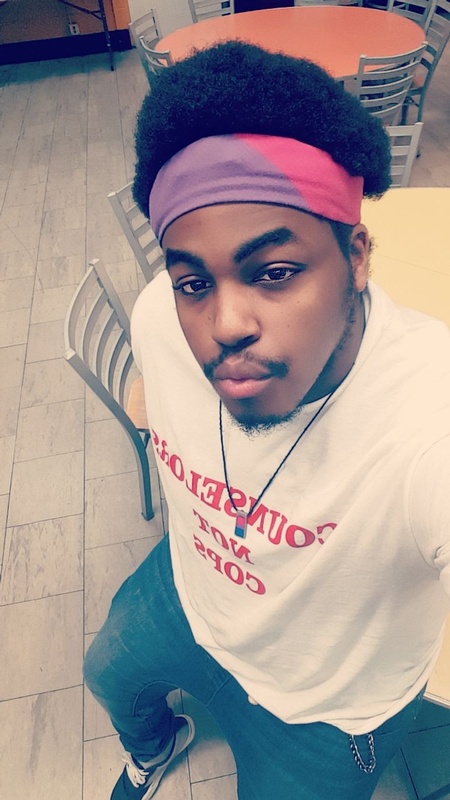 A Bronx Native, Tendaji, even from a young age has a passion and drive for activism and advocacy, focusing on issues like Black Liberation, LGBTQ+ Rights, and Environmental Justice. He/They have been part of organizations like PSOL & BxMpowerment and is continuing to work alongside impactful community organizers to bring about significant change. You can follow him at @reactivebidesign.